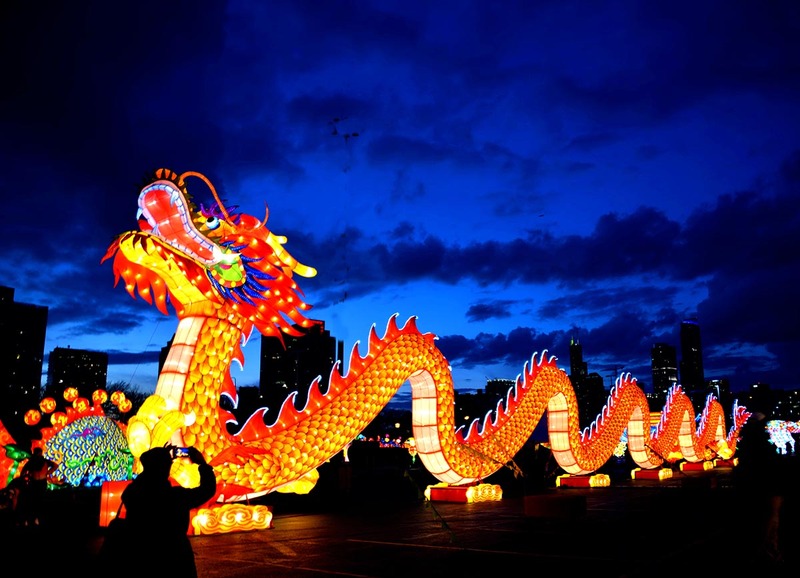 On March 30, Consul General Hong Lei attended the opening ceremony of the Dragon Lights Exhibit at Soldier Field in Chicago. 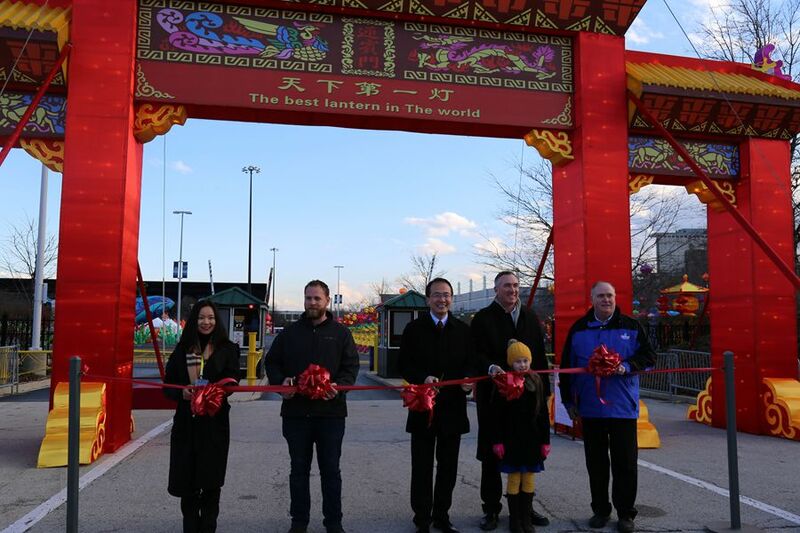 General Superintendent and CEO of the Chicago Park District Michael Kelly, General Manager of the Soldiers field Tim LeFevour, representatives of the Sichuang Tianyu Arts & Culture Inc as well as visitors attended the event. In the speech, Consul General Hong Lei congratulated on the successful opening of the exhibit, and thanked the Chicago Park District for its support and the organizers for their efforts. Consul General Hong Lei pointed out that China has long been dedicated to fostering strong cooperation and exchanges with Chicago. Currently, China and Chicago maintain close ties in economy and people-to-people exchanges. 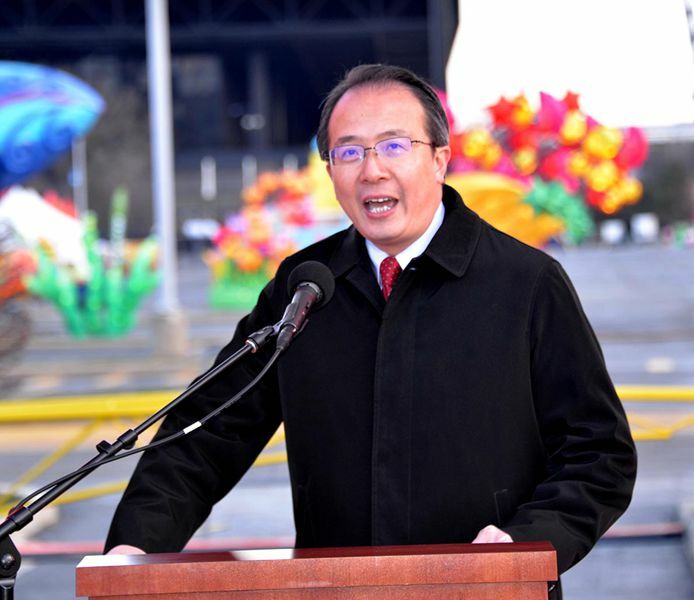 During the Chinese Spring Festival, Chicago hosted the city-wide Happy Chinese New Year activities, which are warmly welcomed and participated by not only Chinese communities but also the whole city as well. We would like to work with friends of all walks of life in Chicago to enhance our friendship and cooperation. He wished that American friends could enjoy and understand Chinese culture more from the Dragon Light exhibit. CEO Kelly acclaimed the good relations between Chicago and China in his speech. He said that this event is a vivid example of Chicago’s efforts to build itself into “the most China-Friendly US city” put forward by Mayor Emanuel and ex-Mayor Richard Daley. More than 40 glamorous illuminated displays made up by 1000 LED lights were presented to the audience after dawn. The centerpieces of the exhibit are two light displays of “two dragons playing a pearl” together with a flower bed and a “big whale” weighing over one ton. The vivid lights displays of terra cotta warriors, Kylin, peacock and panda represent the most distinctive features of the Chinese culture. There are also displays based on traditional Chinese folklore and culture. 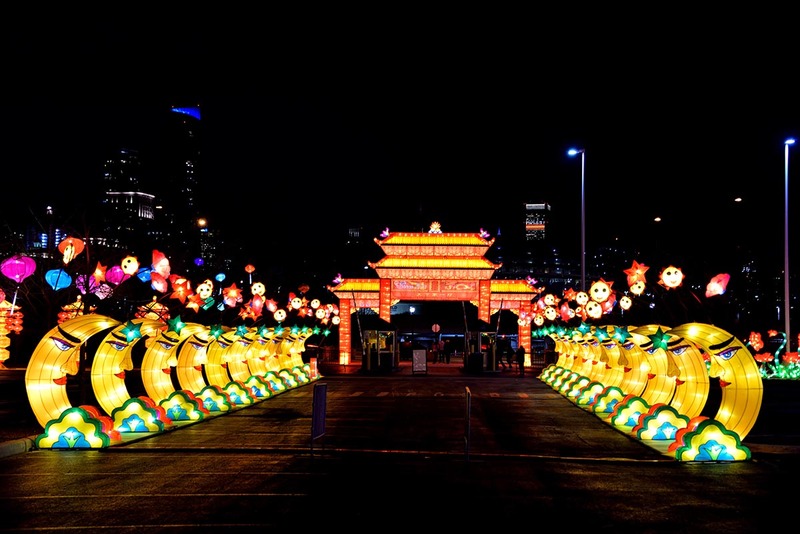 The light exhibit adds another Chinese cultural element to Chicago after the Happy Chinese New Year activities. There are also traditional acrobatics and handicraft performances in the exhibit that attract many visitors. The Sichuan Tianyu Arts & Culture Inc founded in 1997 has staged over 24 light exhibits in America in the past two years, attracting an average number of 75,000 visitors per exhibit. 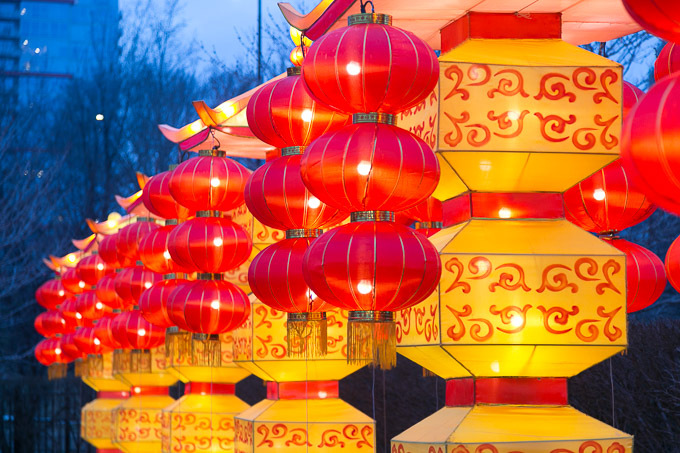 The history of lights display can be dated back to thousands of years ago in China. 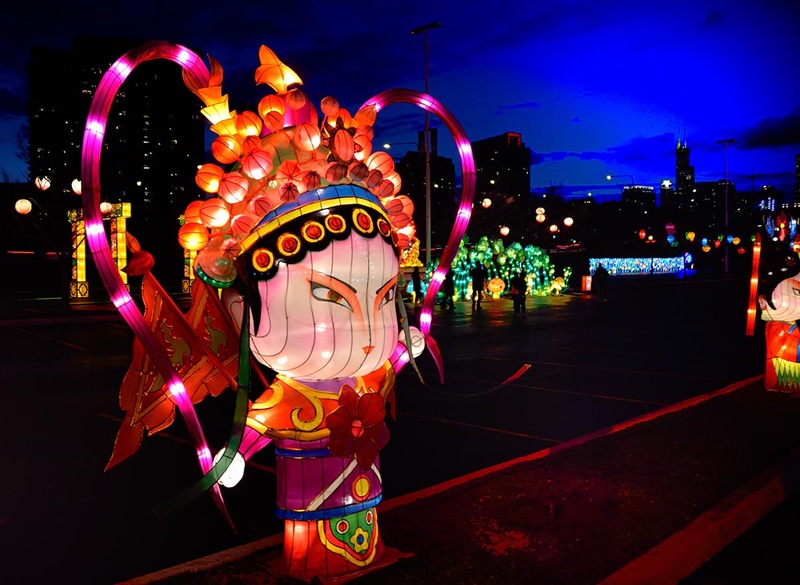 Artists who build these displays are from Zigong, Sichuan Province, a city that is home to over 80,000 professional light craftsmen and enjoys world-wide and longstanding reputation for its colorful light displays The dragon light exhibit in Chicago will last from March 30 to May 6.